This season is kind of like the NBA or NFL offseason, with one exception: there’s blessedly no draft. Contracts expire or get bought out; whoever isn’t on a team is fair game. Since this is the first year of the franchised LCS, teams aren’t just looking for wins, but to establish some brand appeal. Since there are some new teams in the league this year, there’s going to be some moves in the coaching scene too, a growing component of competitive League. It’s not just enough to have five good players anymore: a deep bench and good support staff are becoming desirable, as League develops more and more into an industry, rather than just a well-organized tournament. Here’s what’s been cooking so far this offseason. Since the Immortals won’t be coming back to the North American League Championship Series in 2018, the Worlds-caliber team was an obviously hot commodity for the new money entering the scene. Well, it would be, if Team Liquid didn’t get there first. ESPN’s Jacob Wolf reports that Liquid snapped up four of Immortals’ players—three starters and a substitute—while sub support William “Stunt” Chen is going to FlyQuest and coach SSONG heads to Team SoloMid. All these pickups leave Liquid’s roster a bit too full. Per Wolf’s sources, Liquid is likely to part ways with AD carry player-turned-mid laner Chae “Piglet” Gwang-jin, and Kim “Reignover” Yeu-jin’s contract is uncertain as former Immortal Jake “Xmithie” Puchero takes his starting spot. Though there’s no more relegation for Team Liquid to fear, this move certainly sends a message that they don’t plan on riding the bottom of the standings in 2018. While SSONG’s aforementioned move (reportedly worth upwards of $300k) sends him to longtime League team TSM, the new logos in North America are picking up organizational staff from around the world. Commentator Thomas “Zaboutine” Si-Hassen will be the head coach of OpTic Gaming’s League roster, while Golden State Warriors squad Golden Guardians are looking at Choi “Locodoco” Yoon-seop and Cleveland Cavaliers-owned 100 Thieves look to sign Neil “Pr0lly” Hammad away from H2k, all per ESPN’s Wolf. I mean, makes sense. They beat Faker. In my personal favorite bit of news, former SKT T1 and Cloud9 top laner Jung “Impact” Eon-yeong reportedly turned down an offer to return to SKT, supposedly because they were too far apart on salary and playing for the Worlds runners-up would be too much pressure. Impact is currently a free agent looking for a new team, but it sounds like you better have a thick wallet and light expectations. Yiliang “Doublelift” Peng has moved around North America’s teams a fair bit, having played for CLG, Team SoloMid, Team Liquid, Curse, and even Epik Gamer with a terrifying Blitzcrank. He’ll be looking to add another logo this coming season though, as one report has him on his way out the door at Team SoloMid. Per Sources writer Jarek Lewis reports that TSM has picked up G2 players Jesper “Zven” Svenningsen and Alfonso “Mithy” Aguirre Rodriguez to replace Doublelift and support player Vincent “Biofrost” Wang, respectively. Doublelift should find a roster spot if he wants one, but as he becomes a creaky old man by esports standards—he’s 24—he might have to work harder to get it. The influx of foreign talent into North America means even more options like Zven are available to the fresh teams looking for the next star at his position. 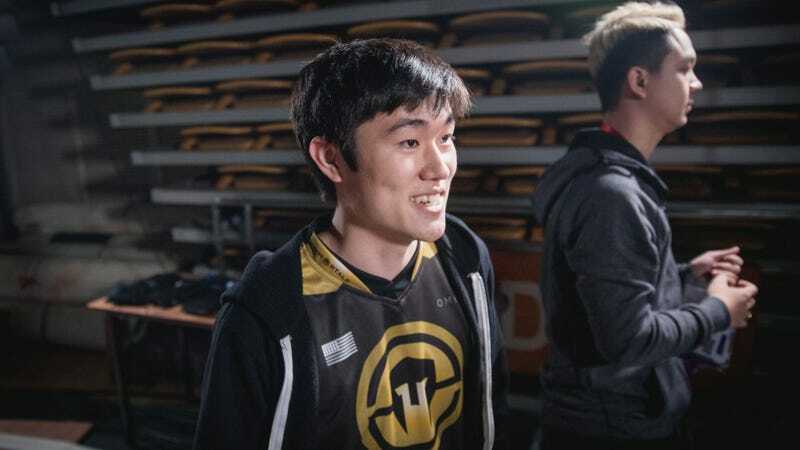 While it’s hard to picture an LoL season without Doublelift, I also wouldn’t be surprised to see him pull a Tony Romo, save his tired wrists, and find a regular gig on the mic every Saturday.